Bake star shaped cookies. I baked three sizes first to see which would fit. Bake small and large cookies. Press hole in each cookie as soon as they come out of the oven. 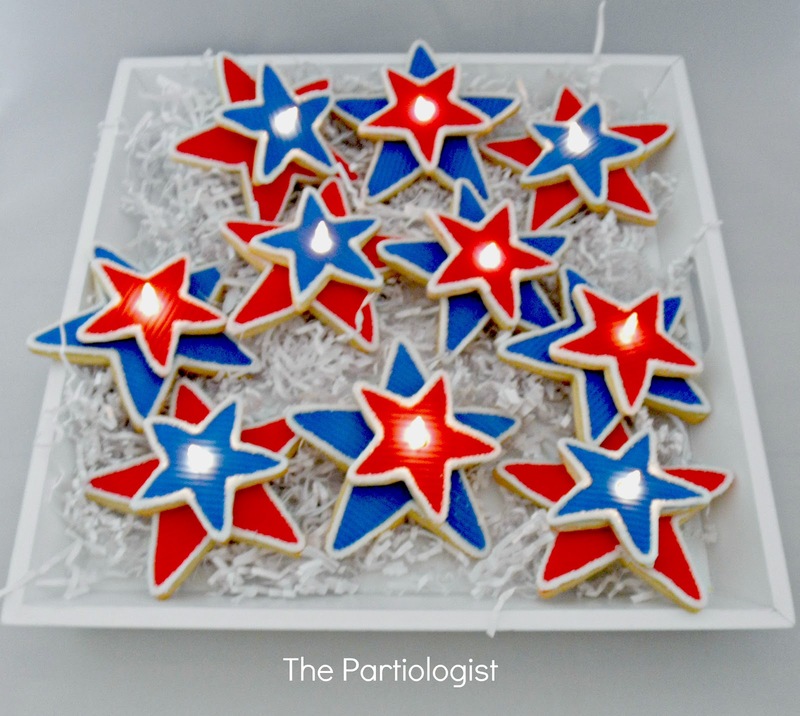 Layer the cookies on the lights to see how you want to lay them out. Make sure the lights and batteries work. 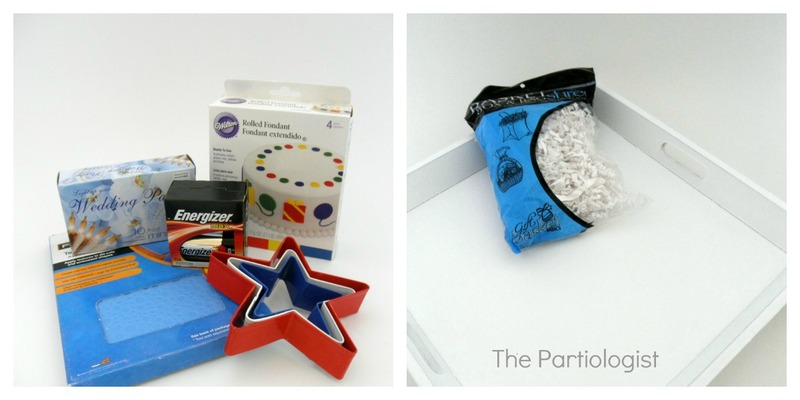 Use embossing mat and make stripes on fondant. 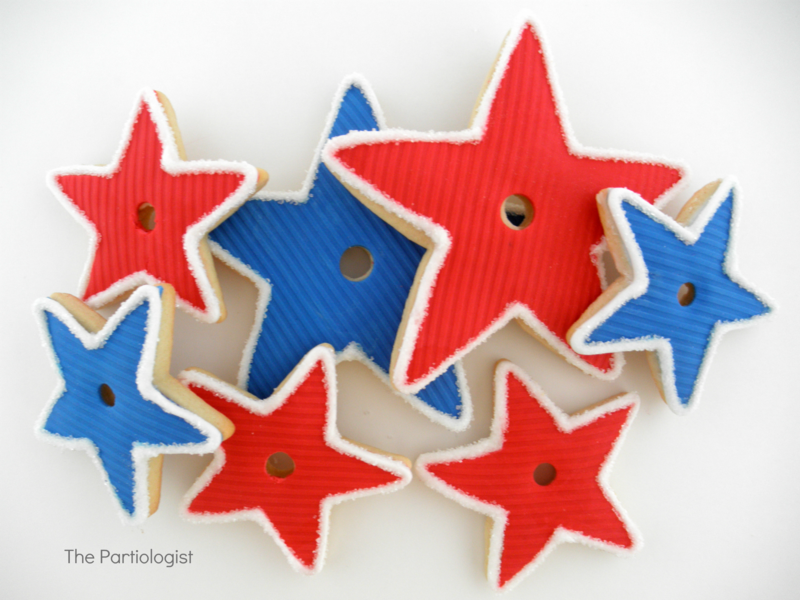 Cut out stars using the cutter - 5 Large Red & 5 Large Blue. Repeat with 5 Small Red & 5 Small Blue. 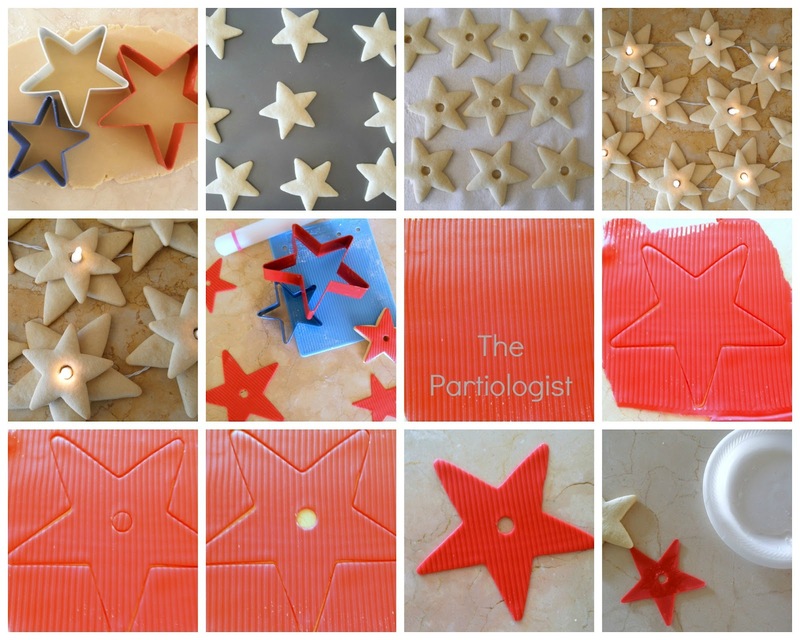 Make hole in center of all the fondant stars. Brush back of fondant with Karo Syrup and place fondant on cookie. After each star cookie is topped with fondant, pipe white royal icing around the edge and sprinkle with sanding sugar. 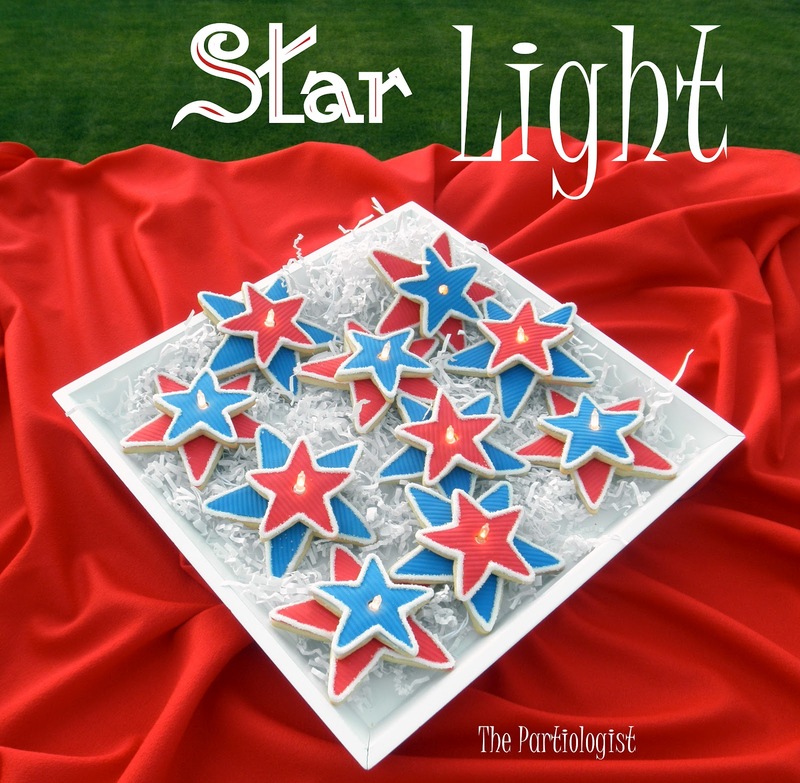 Here they are - Red, Piped and Blue Star Cookies! Lay all the paper shred on the serving tray and then add the lights. Covering the battery pack with shred. Hope you make some bright cookies tonight! So simple, but oh so very creative!